Cool, calm, collected and extremely chic! 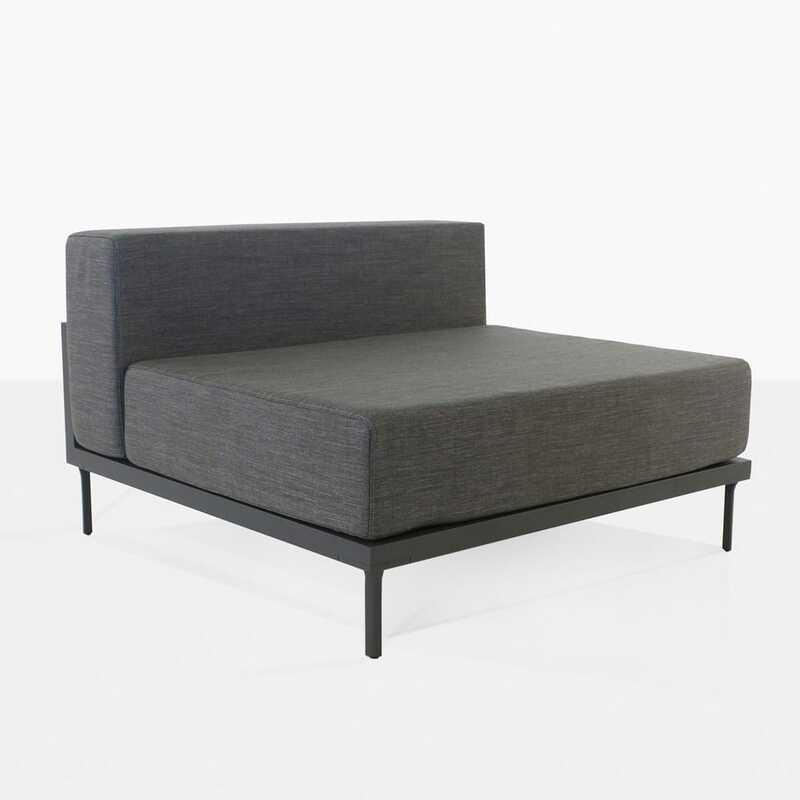 The Kobii Outdoor Aluminium Ottoman in glamorous Charcoal is making waves as an incredible choice to add to a contemporary, sophisticated set. 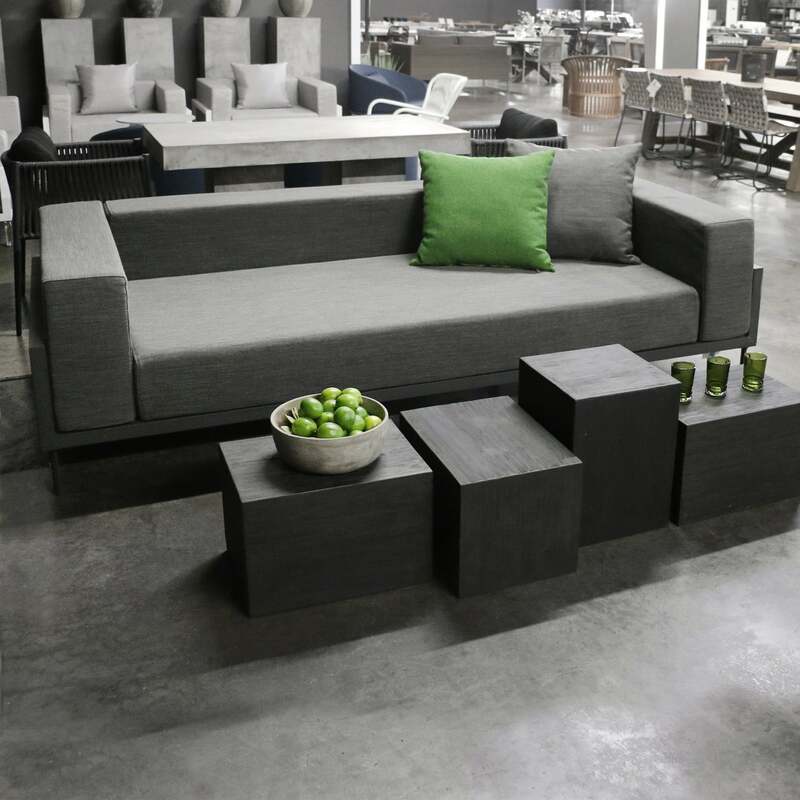 Part of the Kobii family, the Outdoor Ottoman boasts the same values of high luxury, quality and comfort with its sleek framework, epic cushioning and refined design. 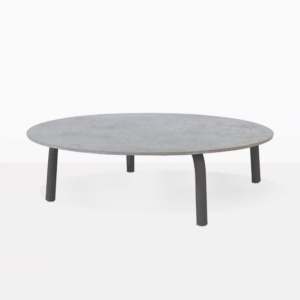 A slender aluminium frame coated in charcoal set powder is bolstered and beautified by thick, superb outdoor cushions in elegant grey. This simple combination is jaw dropping because of an exquisite design that reflects contemporary culture. 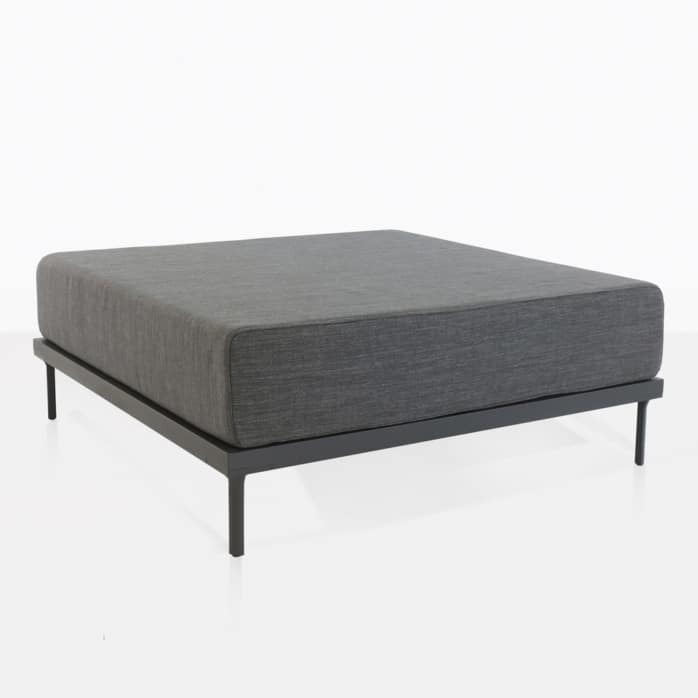 The Kobii Aluminium Ottoman is an amazing piece on its own or as part of a bigger picture. 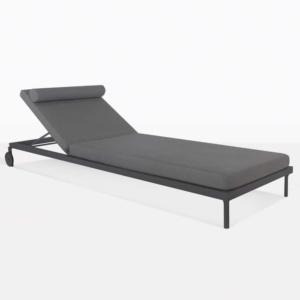 Lay this beauty out by the pool as an amazing alternative to a traditional sun lounger. Make your urban haven complete with a full Kobii set. 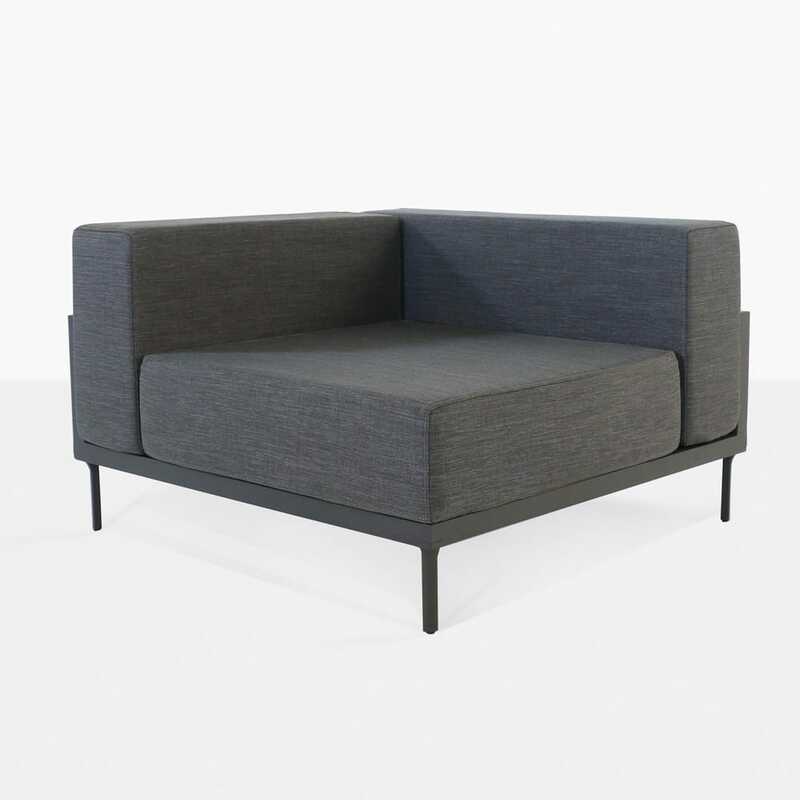 Try beginning with a Kobii Sofa, flanked either side by a Center piece and perhaps a Corner on each end to finish off the edges. 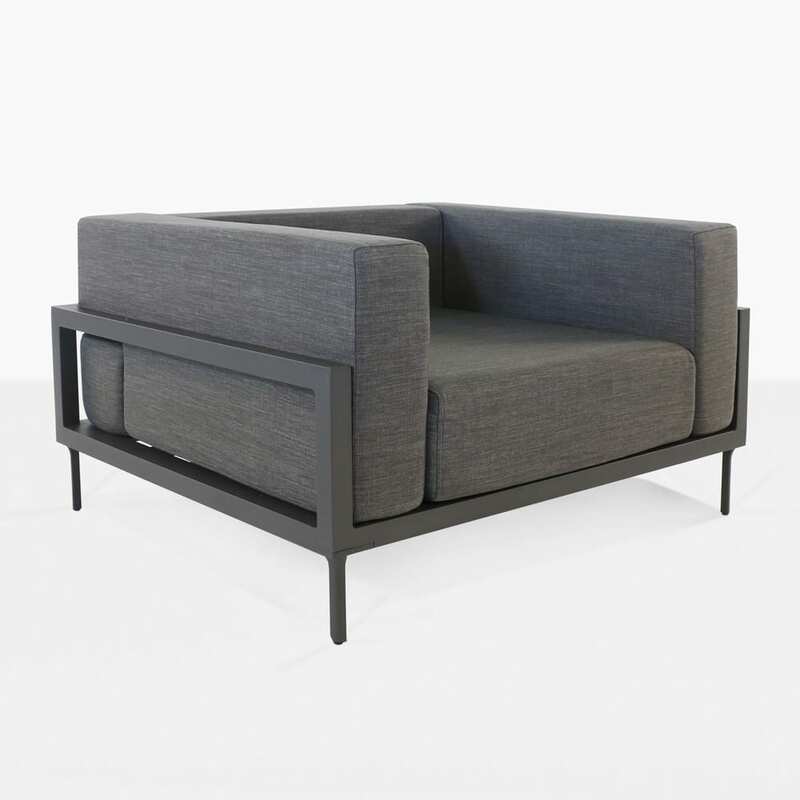 Then angle in a Kobii Club Chair or two, and be sure to add your Kobii Outdoor Ottoman to the end of each one… not only have you got the perfect modern retreat, you now have a relaxing and welcoming area for your guests to recline on while you play host! Kobii is made from incredible outdoor materials such as the non-eroding powder coated aluminium, but what makes it truly special is the outdoor fabric filled with state of the art QuickDry® foam. This winning combination sees cushions that can be used outdoors without the worry of damage from sun or rain! And better yet, our outdoor cushions are free with each purchase from the Kobii range. 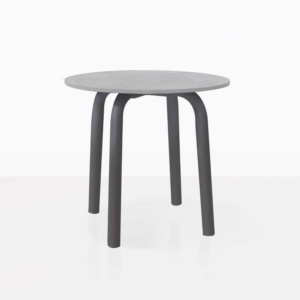 Design Warehouse is proud to carry Kobii. Another example of luxury furniture made from high quality materials and all at wholesale prices. Order your Kobii Ottoman today!